The money, part of $41 million in such grants statewide, will pay for projects including an underwater cable in Freeport and raising the peak of some streets. ALBANY — The state will distribute $20 million on Long Island for projects including an underwater cable in Freeport and raising the peak of some streets as part of efforts to help communities prepare for future natural disasters and repair past damage from superstorm Sandy and other storms, officials said Thursday. The spending, announced Thursday by Gov. 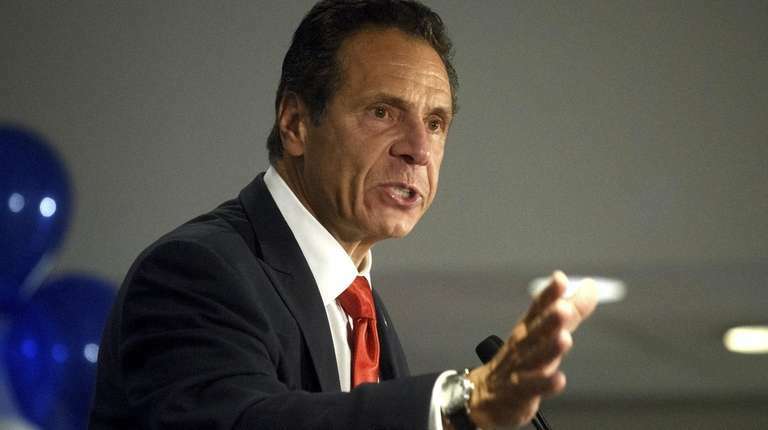 Andrew M. Cuomo, is part of $41 million in such grants officials will distribute statewide this fall, officials said. $7 million to replace a cable beneath the Freeport Channel that carries power to the Village of Freeport. $2.1 million to raise East Baldwin Road in the Town of Hempstead to better shed heavy rains and to build several drainage improvements. $1.79 million to create an Office of Emergency Management in Long Beach in City Hall. $2.1 million for permanent generators at critical community facilities in the Town of Oyster Bay including emergency shelters, fire stations and community centers. $3.8 million to restore streams and riverbanks and pay for other measures to curb flooding. $522,500 to equip Amityville’s main firehouse with a generator and other equipment. $2.6 million to provide permanent generators and other equipment at Bay Shore facilities including the fire department, the YMCA and the Town of Islip’s Second Avenue Highway Garage. $522,500 to install a permanent generator at the Rainbow Senior Center in Lindenhurst. The three generator projects, “along the flood-prone South Shore . . . in Lindenhurst, Amityville, and Bay Shore-Brightwaters are critical to the resiliency of each community" and provide "needed electrical support that will keep residents safe during extreme weather,” Suffolk County Executive Steve Bellone said.